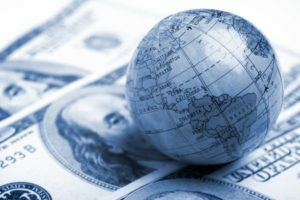 When we compare offshore trust jurisdictions, there are a few that immediately rise to the top for a variety of reasons. These are Cook Islands, Nevis, and Belize, in that order. 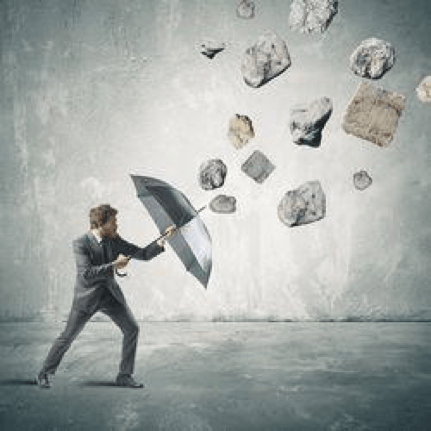 The laws in these jurisdictions can provide an unsurpassed layer of protection between your assets and a creditor or local judge. These jurisdictions have strong privacy laws that favor trust beneficiaries, and when legal structures are integrated with offshore bank accounts and companies, your assets are protected against seizure. Many attorneys will claim that in order to be 99.9% judgment proof, an offshore trust is a key element to your protection plan. This all starts with the right jurisdictions. Many experts agree that the Cook Islands trust offers the strongest asset protection from lawsuits in the world. It is also prudent to consider a combined offshore and domestic plan. This is where your domestic assets, both safe and high risk, are owned by domestic Limited Partnerships or LLCs (when owned by family members, these are often termed “Family Limited Partnerships” or “Family LLCs”) where the general partner or manager is an offshore company. An offshore trust can also contain the estate planning provisions of a domestic living trust that can own your domestic LLC, which in turn, owns your business, or real estate investments. Here is the best offshore trust strategy. 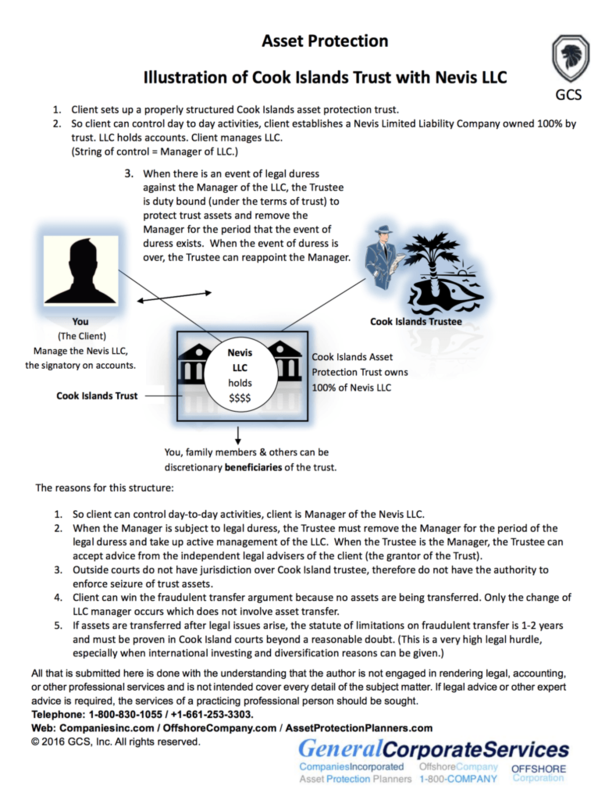 Your Cook Islands trust owns a Nevis LLC that, in turn owns an offshore bank and brokerage account in Switzerland, for example. As manager of the Nevis LLC, you are the signatory on the company bank account. Thus you have control of a legal tool inside of your trust until the “bad thing” happens. At this point you would want the licensed, insurance bonded trustee to step in so that a judge cannot order you to repatriate the funds. After all, at that point you would have a 100% chance of having the money taken by the the court. Wouldn’t it be better to have trustee who has never taken a client’s money and has gone through intensive background checks to obtain a license to step in and protect your hard-earned wealth? Better than having it all seized by the court isn’t it? 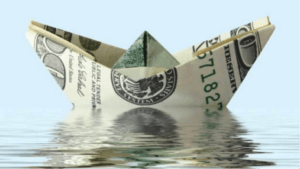 As you can see, the offshore trust an essential and quite possibly, most important, component of this asset protection plan and should be combined with an offshore company and bank account. These are highly important matters that deal with your financial stability. The entities must be established correctly in order to provide the asset protection that you may require. It is essential that you seek experienced, professional guidance to learn about the many facets of going offshore. 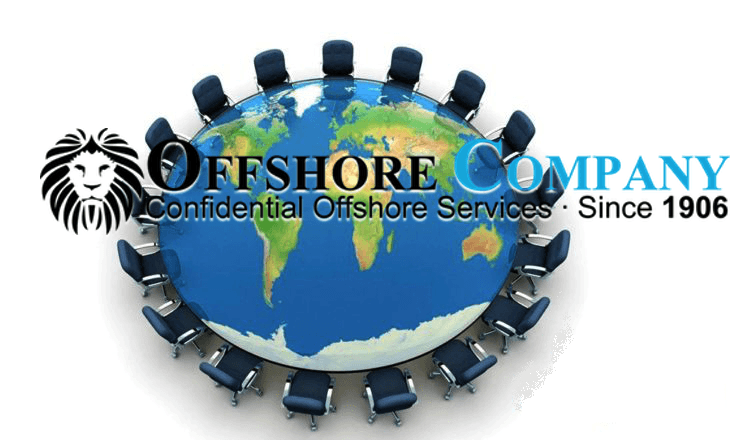 OffshoreCompany.com facilitates many asset protection plans each day, and is the world leader in offshore incorporating. Give us a call today so we can answer your questions and devise a plan for securing your financial future.